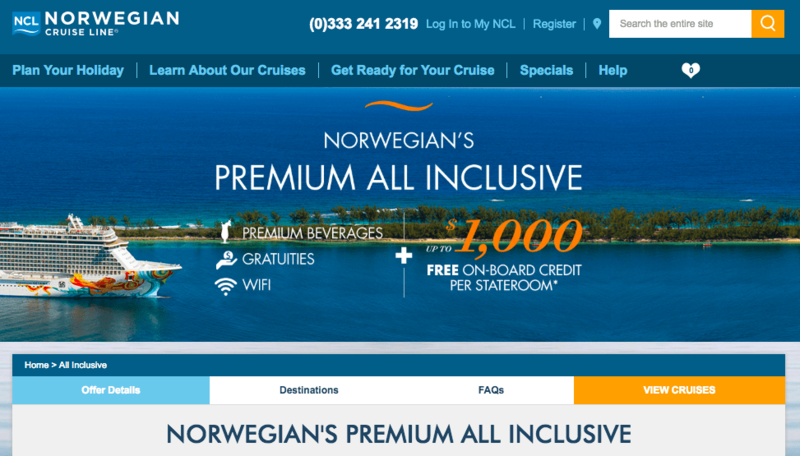 If you are booking an NCL cruise from the UK you will only be able to buy a ‘premium all inclusive’ cruise. This means that premium beverages are included. You are able to buy guaranteed cabins on some routes but generally speaking if you book an NCL cruise from the UK it’ll be all-inclusive. During this post, I will speak a little about what is included in the “premium all-inclusive” package and then the “ultimate” beverage package. The UK “all inclusive” bookings include beverages, wifi and gratuities. The all-inclusive bookings actually contain more drinks than the ultimate beverage package because you are given one bottle of water a day (big woop) and you can have specialist coffee at meal times. 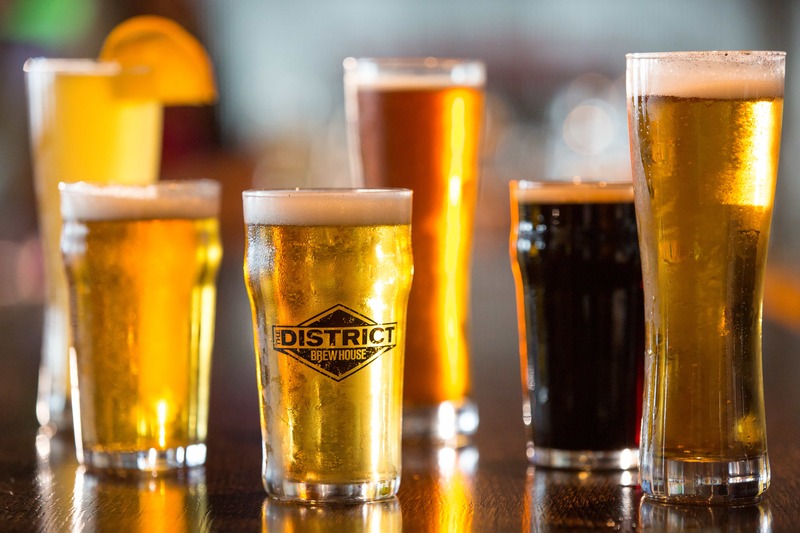 From spirits and draft or bottled beer, wines by the glass and cocktails to alcohol-free beer, soft drinks and juices in all bars, lounges and restaurants at any time throughout your cruise. 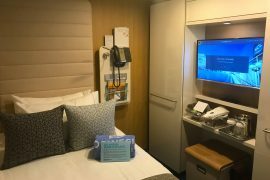 You can also refresh yourself at any time because now one bottle of water per person per day is provided in your stateroom for your convenience. 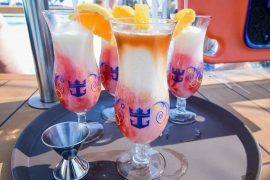 The ultimate beverage package is often offered as part of promotions, you can also add it to any cruise. I recently had the package when I took a Caribbean cruise on board the Norwegian Getaway. I really enjoyed having cocktails by the pool and prosecco with lunch. You can have drinks all day every day and still not need to try the same thing twice. Despite being the highest package available it isn’t ‘unlimited’. The package can be used at Great Stirrup Cay but cannot be used at Harvest Caye or on sailings that are two days or less. In addition to beer/wine/cider/cocktails/spirits the UBP includes all fountain sodas and juices from the bars. Tea/Coffee from the atrium. 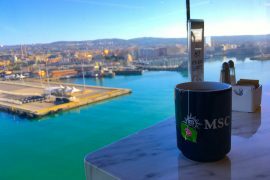 This is by far the best tea/coffee on the ship, much better than what you’d find in the garden cafe but it isn’t included in the unlimited beverage package. High priced whiskeys/cocktails. There is often a limit on price per drink, this is currently $15, where drinks above this are not included. When ordering a drink with a value of above $15 you have to pay the extra and pay an 18% gratuity on the extra amount. I never found any drinks that I wanted over $15 so I can’t imagine that this is a problem for most people. If a drink comes with a promotional glass/cup you will not get the glass. It is possible to pay extra for it but when ordering the drink with the UBP they will assume that you do not want it. You must be 21 to buy the package. Bit annoying if you’re 18-21 from the UK and used to be able to drink. All people in the same cabin (over 21) must purchase the ultimate beverage package if one does. I suppose this is to stop people from sharing drinks but can be quite annoying if only one of you is a drinker! If you order a spirit and mixer they are meant to give you a single shot of alcohol. I don’t think that they measured this out on any occasion on my recent cruise meaning that we often had drinks which seemed more like “Jack Daniels with a splash of coke” than a regular Jack Daniels and Coke. Not that I’m complaining. You are allowed two beverages per person per transaction. You cannot buy the package on sailings which are than two days or less. If you order bottles of wine you’ll get 20% off. Not sure why you’d do this really though as you could just order a lot of glasses. A note about purchasing the UBP as part of a promotion: Currently if you book the package as part of a promotion in the UK then you do not have to pay an extra 18% gratuity on the drinks package. However, if you book the package from the US you have to pay for the gratuities. 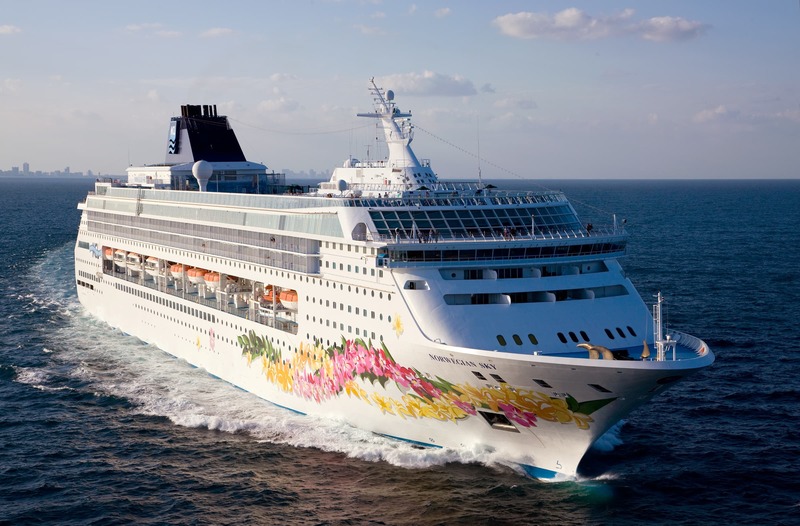 Norwegian sky: “Effective 4/22/15, guests booked on Norwegian Sky for 2016 sailings and beyond will receive: unlimited soda and juice, designated spirits, cocktails, wines by the glass, bottled and draft beer.” The same rules apply but it effectively is just a ‘free bar’ ship, there is also no $15 limit for drinks as all drinks are displayed on an ‘all inclusive’ menu with no prices. Despite these exceptions, I would still wholeheartedly recommend the ultimate beverage package. Especially if you’re including it in part of a promotion. As the package is meant to be $79 a day (plus gratuities). So you really do have to drink a lot to get your moneys worth if you’re purchasing it as an extra and not as part of a promotion. If you do purchase the package make sure to try the raspberry mojito in the mojito bar. It is absolutely amazing! 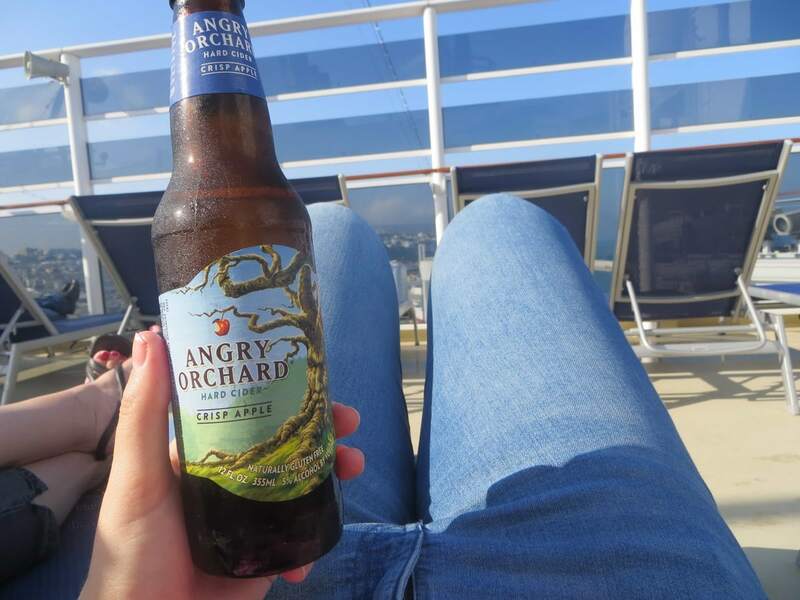 Angry Orchard cider. I’ve never had this brand before but it was a yummy apple cider. Can’t go wrong there. It sometimes came in a can and sometimes a bottle depending on where I got it from. If you have any questions please do leave me a comment! Let me know in the comments. If you’re not all cruised out why not join our Facebook group? We have 1300+ lovely people who would love to chat to you! Cruising Isn’t Just For Old People FB Group. We have loads of NCL content on our site so the journey doesn’t have to end here! Fancy learning a little more about freestyle dining? NCL’S Freestyle Dining Explained. First timer with NCL? I’ve got a post for that too! 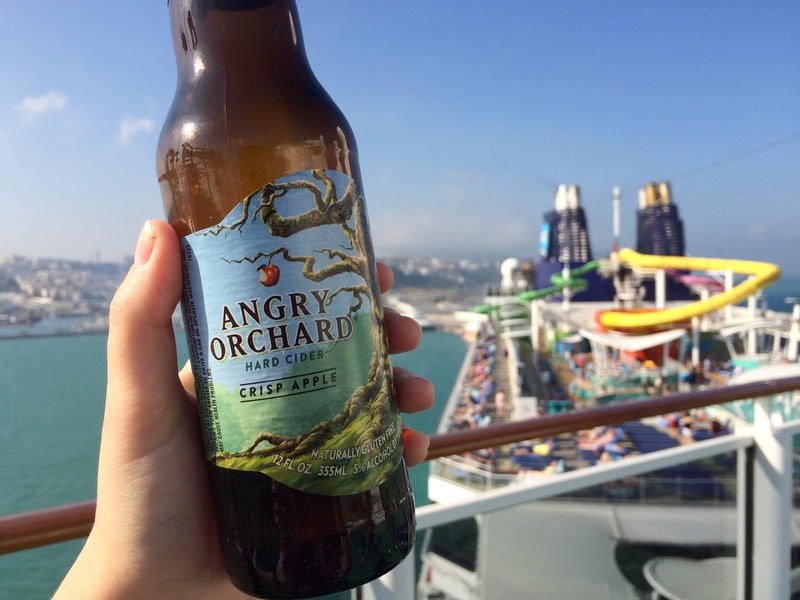 8 things I wish I knew before my first NCL cruise. It’s not the “Unlimited Beverage Package” it’s the “Ultimate Beverage Package”. Quick question…you mentioned that if we got the UBP as part of a promotion that we’d need to pay 18% gratuity, is that on every drink? Its 18% on the cost of the package, so whatever it is meant to be a day + 18% on top, not per drink. Nope none of those drinks are over $15. I’m honestly having a hard time thinking of anything that is over the limit… I’ve certainly never wanted anything which is over the limit. If you look here: http://www.cruisewithgambee.com/norwegian-drink-lists/ that should help. I can’t see many on there for over $15 though! It is worth noting that usually if you order a drink over $15 they will take $15 off the price of the drink and you just pay the extra dollar or two. Wow $79 that is dear, thought RCCL were crazy at $55. We like a beer and wine but we would struggle with that! Yepp!! It is a lot. You’ve got to be really committed to drinking… ha ha. Ahh yeah, I’m not big into beer so that one wouldn’t bother me. The raspberry mojito was my drink of choice. SO GOOD! So how does the two drinks per transaction work? If you want more than two you pay for the extra or go to a different bar/restaurant?